National Geographic Kids Chapters: Courageous Canine! 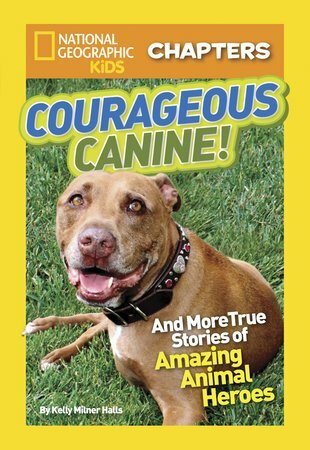 Three heart-warming true stories of animal heroics! Snappy chapters and amazing colour photos show you the great deeds that creatures are capable of. Read about a brave puppy named Lilly, who sacrificed herself to save her owner’s life; or about the pod of dolphins who faced off against a Great White shark to save a stranger. There’s even the phenomenal story of a mother gorilla who rescues a human toddler when he falls into a zoo enclosure! A must for any and every animal-lover!